When you decide to remodel, you want to make sure that you get the best deals on everything! You want the high-end look of hardwood in your house, but you don’t want to pay too much for the look, which is where we come in. To help you with the process, we’ve got 4 things you should ask yourself before you get affordable hardwood floors. 1. 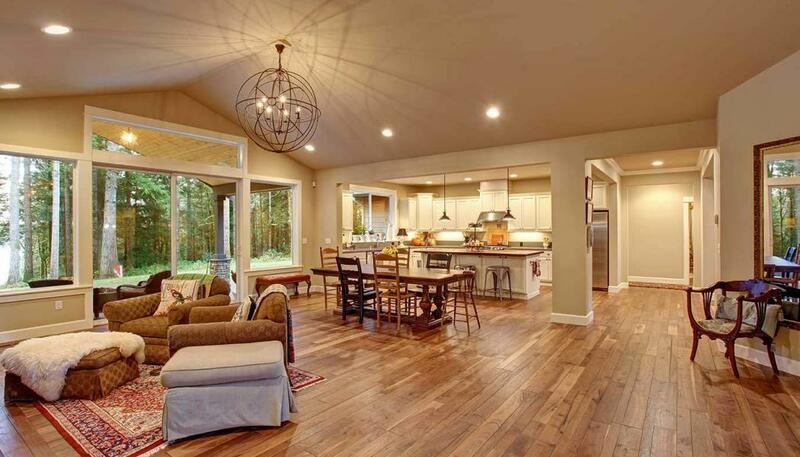 How much flooring do you need? You do not want to buy too much hardwood and have a lot leftover. It will be easier to go ahead and measure the space you are wanting to put the hardwood in before buying. This will make it easier to look at flooring because you will already know how much you will need. Flooring is generally priced by the square foot, so you can go ahead and do the basic math to figure out how much the flooring you are looking at will cost you. Our affordable hardwood floors will make not only you, but also your wallet, very happy. 2. What kind of a look are you going for? It’s important to think about what kind of floor you want to put in your house. When you start looking at hardwood floors, you want to have an idea of what kind of look you want that room or rooms to have. Lighter wood tends to make a room look bigger, while darker wood can make a room seem smaller but give it a regal feel. Usually a medium tone is best to start with if you don’t know what you want. This gives you the freedom of wood choice and color palette when you are designing the room. 3. Where can I get the best deal on affordable hardwood floors? You want to get the most bang for your buck when it comes to affordable hardwood floors, and we completely understand! That’s why we strive to provide quality wood flooring for our customers that won’t break the bank. You want a quality product at a good price, and we can offer you the best prices around! All of our hardwoods are made locally in the United States which cuts down on shipping costs so that we can give you a better deal on the affordable hardwood floors you have chosen. You want the look you are envisioning at the price you can afford when you pick affordable hardwood floors. We get that, and we want to help you get the perfect look for your house! To get started, check out our inventory of hardwood floors. We can’t wait to help you make your home look even better with our affordable hardwood floors!